I once had an interesting conversation with a student who was struggling in my class. She confessed that every time she sits down to do an assignment, she has a mental/emotional roadblock, because all of her life, she received “you can’t do it, you’ll never amount to anything” messages. Therefore, she said, she’s not afraid of failure. She’s used to it. That’s the default. It’s the risk of success that scares her. We talked about how taking a chance on success also means risking failure, and how the best way to honor the discouraged little girl inside her is to take that chance. Sometimes we learn from our students. It would be easy to label her as “lazy,” or incapable. But fear can be stronger than ability. For all of us. Let’s develop the courage to succeed. … and it occurred to me that there are different ways to interpret this message. 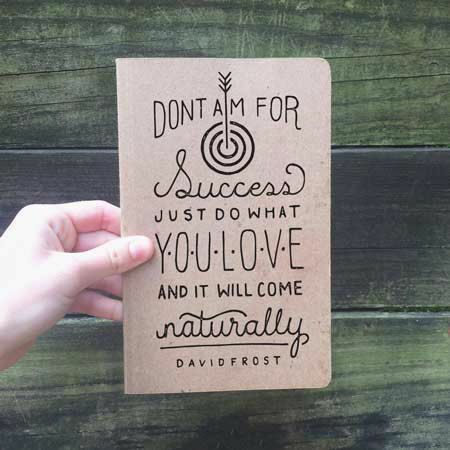 Another way to interpret the message is to think of success as the natural outcome of doing what you love. You’ll be happy, your skills will increase, and your soul will feel fulfilled, whether or not anyone else notices. The first part of the message holds true, in either case. You can’t “aim for” success. Success is not a goal, it’s the outcome of good work. People get confused about this, saying they want to be a rock star or a best-selling author or a professional athlete. They’re confusing the goal with the work. If you want to be a rock star, work on becoming a great musician – if you want to be a best-selling author, work on your writing skills (and actually write a book) – if you want to be a professional athlete, master the game. Master yourself. Whatever success you attain will come from the work. Success itself isn’t a goal, it’s a result. Be a success in your own mind. I believe in you.